Join an amazing series of Europe trips touring Paris, Lyon, French Riviera, Carcassonne, Bayonne, Bordeaux, Loire Valley and Omaha Beach. Chateaux, chic beach resorts, cheese and wine – all you want to see and taste in France. 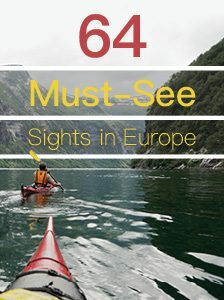 Europe trips, like the one you will read about below, hosted by AAA Vacations, also peel back the layers to reveal the soul of this great country. Travel to Europe so you can enjoy moments like learning the strategic importance of Carcassonne’s double ring of ramparts with its 52 towers from our local historian, and why the fortified town made such a good backdrop for the film “Robin Hood: Prince of Thieves.” Keep reading to learn what a sample itinerary of a Europe trip to France looks like. Welcome to Paris, the City of Light! France is a diverse and fascinating country with so much to offer. 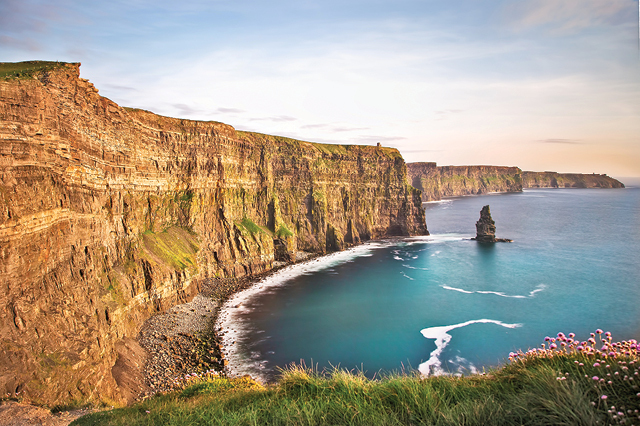 From architecture to cuisine, your trip reveals a host of regional delights and specialties. 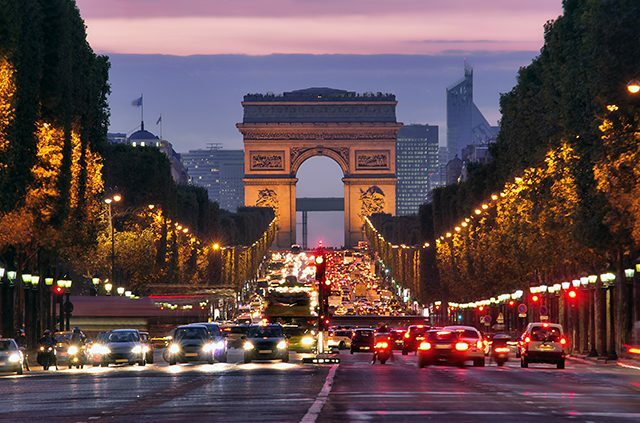 Meet for a welcome reception with your fellow travelers and travel director and enjoy the first of many Europe trips on a drive through the city to take in some of the breathtaking sights including the Champs Élysées and the Arc d’Triomphe. Drive south into Burgundy wine country, once home to the powerful Dukes of Burgundy, past the Côte d’Or vineyards of Gevrey-Chambertin and Nuits St. Georges. Arrive in the medieval town of Beaune to discover the treasures in the 15th-century Hospice de Beaune. Tonight in Lyon why not try out some local sights and specialties for which the city is justifiably famous? Stop in Avignon to see the Papal Palace and the bridge made famous in the song, ‘sur le pont d’Avignon’. Traverse Provence, a picturesque area favored by artists such as Van Gogh and Cézanne to the Principality of Monaco. 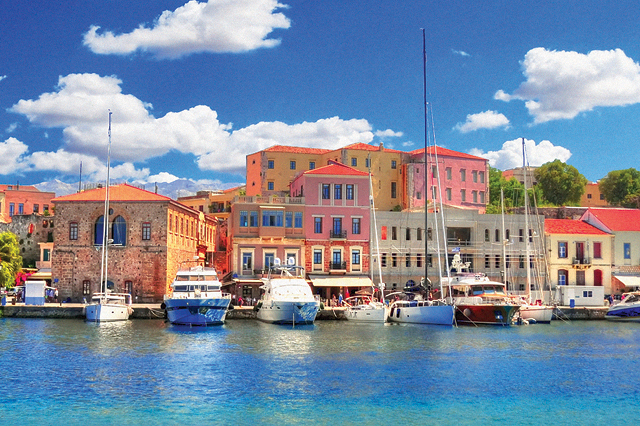 This small city-state is both a constitutional monarchy and home to the rich and famous. View the cathedral where Prince Rainier and Princess Grace were married. Later enjoy a meal in Monaco before arriving at your hotel. Spend today as you wish. The Côte d’Azur is a sparkling and pristine stretch of famous coastline. You might like to lounge on the beach, shop in elegant boutiques or perhaps visit the hilltop town of St. Paul de Vence. This evening why not dine in one of the many pleasant local restaurants? Visit the town of Arles with free time to explore the city. Pass Alaric’s Mountain to Carcassonne, a walled city and UNESCO World Heritage site which was extensively restored in the 19th century. See the double ring of ramparts featuring 52 towers during your sightseeing tour with a local guide. ‘Robin Hood Prince of Thieves’ was filmed on location in and around Carcassonne. Wind your way through the Corbières Hills and ‘Cathar’ landscapes toward the Pyrenées. See the Basilica on top of St. Bernadette’s grotto at Lourdes, a holy site of pilgrimage. Head north through Les Landes to the classical town of Bordeaux. Built on the River Garonne, this is the world’s major wine industry capital. Bordeaux wine has been produced in the region since the 8th century and the bi-annual wine fair held in the city attracts buyers from all over the world. See the sights including the magnificent Esplanade des Quinconces during your orientation. Enjoy a scenic half-day included Europe trip through beautiful countryside and picturesque scenery in the Dordogne region, best known for the enchanting medieval ‘Bastide’ villages. Drive to the renowned wine village of St. Emilion, possibly one of the most famous towns with ties to wine production. 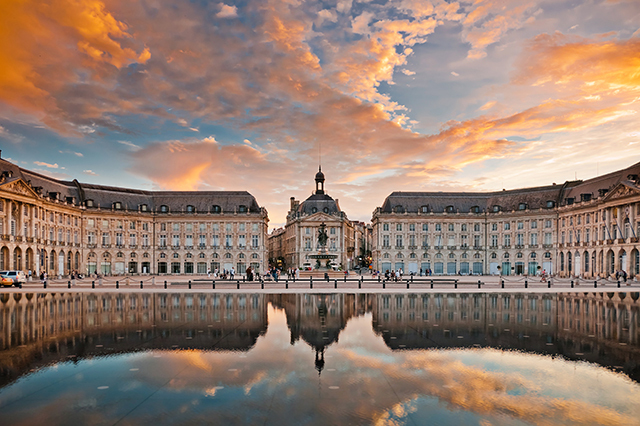 Later return to Bordeaux where you will have free time to explore the city. Continue north through the Poitou Charentes region to the Loire Valley and stop to visit the beautiful fairytale Château Chenonceau. One of the most remarkable castles ever built, Chenonceau features stunning landscaped gardens and priceless collections of Renaissance furniture, tapestries and art. For an engaging experience, join your fellow travelers for a special meal to enjoy typical French hospitality. Travel through Brittany to visit the island-town of Mont St. Michel on the Normandy coast, featuring the abbey and picturesque streets. Follow the Liberty Highway to St. Lô and on to Omaha Beach where your travel director provides an excellent account of the momentous events that took place here. Pause and reflect on the courage of those who gave their lives. Visit the D-Day Museum Landing Zone and learn in detail about how the operation was planned and executed. Head South East towards the valley of the River Seine. Stop at Giverny and visit the house and gardens where Claude Monet lived for most of his life. One of the founders of French Impressionism, some of his most famous paintings were inspired by this spectacular garden. This evening in the glittering capital, Paris, consider a trip to one of the city’s renowned cabaret venues. On day twelve, your guide reveals not just where, but how real Parisians live and shop. Your guide will show you the enchanting hidden squares and secret passages of one of Paris’ oldest historical neighborhoods. This short insider walk finishes at one of Paris’s loveliest squares, little known to outsiders, but a real favorite of the locals. See the unique skyline from the second level of the Eiffel Tower, where you enjoy panoramic views across the city. Spend the rest of the day seeing more sights and shopping for souvenirs. This evening celebrate with your travel director and newfound friends at a farewell dinner. Say ‘au revoir’ to your fellow travelers at the end of a magical and memorable collection of Europe trips. What are your favorite moments from past romantic trips to Paris? Tell us in the comments below. 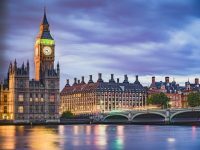 Article tags: AAA, best europe trips, cuisine, dine in, dinner, europe trip, garden, home, house, local restaurants, Omaha, resorts, restaurants, save, travel, travel to europe, trip, your aaa. How do I get more info on the above trip described? You can learn more about AAA Vacations Best of France tour by clicking here. If you’d like more information, feel free to contact a helpful AAA Travel agent at 800-222-7448.